Access ProView in your browser. Open Finder and click Applications then look for ProView and launch it. Don’t have the app? 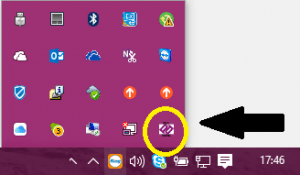 Look for the ProView icon on your system tray on the lower right hand side of your screen. Don’t have the app?